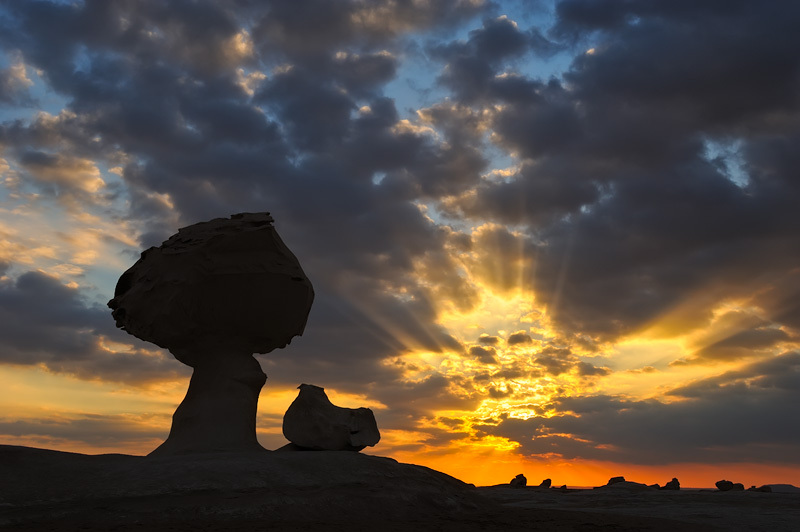 A mushroom rock, also called rock pedestal or a pedestal rock, is a naturally occurring rock whose shape, as its name implies, strikingly resembles a mushroom. The rocks are deformed in a number of different ways: the processing of erosion and weathering, glacial action or from a sudden disturbance. rate at its bottom to that at its top. Abrasion by wind-borne grains of sand is most prevalent within the first 3 feet of the ground, causing the bases of outcrops to erode more rapidly than their tops. Shot in the White Desert in Egypt.